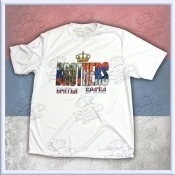 SRBIJA t-shirt with stylized Serbian eagle and word SRBIJA on the front printed with Silver Glitt.. 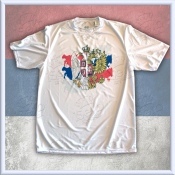 PINK SRBIJA t-shirt with "SRBIJA" writen and Cyrillic alphabet on the front of a pink shirt. ..